The world that we live in is still largely manual and human-labor intensive. From the way we drive, to the food we eat, to the way we work, a lot of the actions along the way are done by humans (human drivers, human farmers, and human labor). Yet the next big platform shift in tech will be at the intersection of AI/ML and the physical world...aka, robots! Today’s biggest industries largely follow the 80/20 rule of 80% manual and 20% automated. However, in tomorrow’s world that 80/20 will flip, and robots will be front and center. But with every big platform shift, there are catalysts that enable them (e.g., Netscape in 1995, AWS in 2006, the iPhone in 2008). In the shift to a robot-first 80/20 world, three major catalysts will drive the change. 1. “Startup-affordable” hardware: Servos and resistors have always been relatively cheap, but as the cost of more complex sensors like HD cameras, radar, and lidar (e.g., Aeva.ai) come down in price to become “startup-affordable,” early-stage companies will be able to prototype and deploy sophisticated robots for hundreds to thousands of dollars, instead of millions. 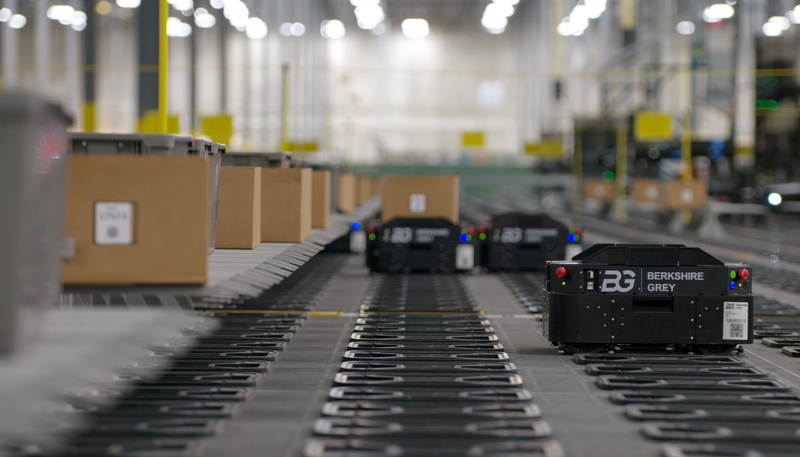 Just as AWS lowered the barrier to entry for a startup to begin deploying software products to customers, the same thing has happened in the physical world with robots. 2. Speaking the same language: ROS, the Robot Operating System created by Willow Garage in 2007, is the de facto platform used by robot developers. The open-source platform is used in robot projects from autonomous vehicles to drones to cleaning robots. Over the last decade, it has provided not only a way for developers to build robotic applications, but ROS has standardized the “language” that the robotics community uses to build, test, and deploy robots (e.g., Apex.AI). Just as the internet democratized the digital world for everyone once the pioneers agreed on a set of protocols and rules like HTTP and TCP/IP, ROS will continue to do the same for robots in the physical world. 3. Unstructured, but still smart: Human perception is a highly complex process dependent on our past, current, and future predictions of the world. The physical world is incredibly unstructured. The analogy of a nicely organized excel table doesn’t exist in real life. While humans are innately skilled at perceiving and making decisions with imperfect information, computers are historically not. The reason why robots were only used to automate 20% of the physical world was because the environment needed to be structured enough for a robot to make sense of it. But the last few years of Deep Learning, Reinforcement Learning, and Transfer Learning research have led to near-human level improvements in perception and decision making. We are now at a point where robots are “smart” enough in the unstructured physical world to flip that to a robot-first 80/20. This has led to a cambrian explosion of startup companies building robots to automate almost any industry you can think of. From warehouse logistics, to agriculture, to flipping burgers, there are companies deploying robots in unstructured physical environments to perform complex actions cheaper, faster and better. While the activity is incredibly exciting, it can also be difficult to understand where the value is ultimately captured as these industries make that 80/20 flip. When looking at companies in this space, I start with a high-level 2x2 framework of market and business innovation to help me assess the potential of these robotic companies. On the market innovation axis, I’m looking for something that is forcing disruption in these sleepy but massive industries. In almost every industry, whether it be manufacturing, automotive, or cleaning, there is a positive ROI story for leveraging robots. However, the early adopter verticals of next-gen robots have been the ones where there is intense pressure from legacy players to evolve. This can be from a new entrant threatening to disrupt incumbents, such as Tesla in automotive, changing supply constraints like labor shortages or tangential infrastructure changes like 5G. On the business innovation axis, I look for companies that have a business model that is fundamentally different and disruptive to the economics of traditional players. I love companies that don’t think about incremental efficiency gains on top of human efficiency, but those that re-architect the physical environment in such a way that even free human labor couldn’t compete with the newer, robot-first process. Companies that excel on both axes will not only have a differentiated business model, but will enjoy the defensibility (data, algorithms, applications) that comes with rapid adoption of new technology in a space where legacy players are scrambling to survive the new world order. At Canaan, we have made investments in companies such as Berkshire Grey and Bumblebee Spaces, companies that we believe excel on both fronts. Not only do they each completely change the business models in logistics and real estate by using robots and automation (business innovation axis), but they are both building solutions that are taking advantage of the massive shifts in their industry (market innovation axis). E-commerce continues to capture market share from physical retail purchases, which has put an increasing burden on the backend logistics. And in real estate, companies like Airbnb and WeWork are the catalysts that are forcing disruption in the way we live, work, and interact. I imagine that tomorrow’s world of 80% robotic automation and 20% human will looks like something out of today’s latest sci-fi hit. And beyond new innovations in technology, there is work to be done to understand the socio and economic impact of a robot-first world (more to come in a future post). But I am a firm believer that while we are in the early days of the 80/20 flip, all of the signs are there for startups to use robots to fundamentally reinvent industries. If this is a topic or area of interest, I’d love to connect.